Heavenly International Tours specializes in Jerusalem tour packages from South Africa. Based in Johannesburg, South Africa, we are an exclusive tour operator specializing in tours of Jerusalem, travel to Israel, Turkey, Jordan, Greece and Italy since 1994. Tours of Jerusalem is the highlight of any tour to Israel the Holy Land. Jerusalem, The Holy City made by King David as the capital of his kingdom and today it is Israel’s capital. Here stood the temple and the Ark of the Covenant. 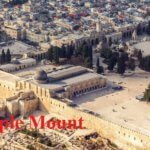 Jerusalem’s history is the world’s history, holy place for the three monotheistic religeous, the centre for religeous conflicts and wars. For Christians, it is where Jesus died, buried and rose again and the birthplace of Christianity. 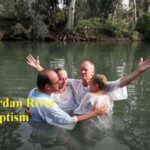 Our tours will take you to all the sites sacred for Christianity, mentioned in the Bible, Old Testimony and New Testimony. 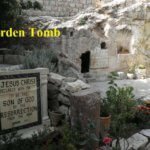 Our tours of Jerusalem visit all the sites sacred to Christianity. We visit the Old and New city of Jerusalem: Mount of Olives, Dominus Flevit chappel, Gardenof Gethsemane, Church of all Nations, Western Wall Tunnel, Pools Of Bethesda, Via Dolorosa, Ecco Homo, Lithostrotos, Room of Last Supper, Garden Tomb, Church of St. Anne, Church of St. Peter in Gallicantu, Church of Holy Sepulcher, Church of Dormition, Mount Zion, Temple Mount, Tomb of King David, City of David and Hezekia Tunnel. No tour to Israel can miss a tour to Jerusalem !